Yes, there are horrible parts to the world. Mass shootings, terrorism, hatred, anger, violence, cancer; you name it. I want to celebrate the great things man has created. I also want to draw attention to (and help correct) the things we’ve messed up. I also want to prove to people that there is no greater thing than belonging to a community of your own. And there will always be one out there for everyone. 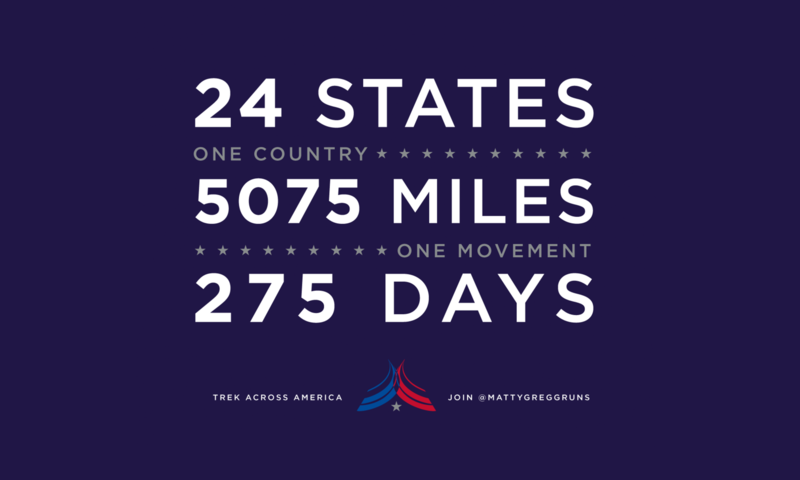 I’m running across the country in 2018 and 2019. I’m meeting with all sorts of folks from all walks of life to talk politics, government, and community. And I am trying to convince people to help our firefighters with the prevention of cancer and the study of it. Firefighters are 15% more likely to die of cancer than the rest of us. They put their lives on the line every single day for us. And it’s up to us to help protect them. Please consider donating to the Firefighter Cancer Support Network.